Forum Index > Off-topic Talk > Anyone seen the Patrick Barta sword on his website? Posted: Wed 24 Aug, 2011 9:12 am Post subject: Anyone seen the Patrick Barta sword on his website? That is one amazing piece of deadly art! That takes things to new heights I think. Actually, your link works just fine. That is definitely a very interesting new sword. I have never yet seen one with this style of decoration. I particularly like the faces on the either end of the grip! 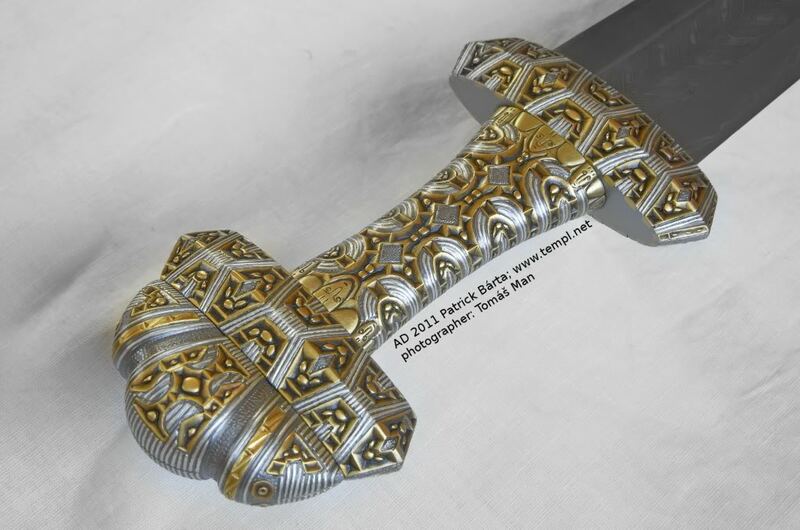 Looking at the rest of the swords on his site, I realize that (other than a couple of celtic swords made by Jake Powning that I have seen pics of) Patrick Barta has made nearly all of the modern recreations of historical swords that most excite my admiration. Patrick's work is just awing. he applys so may stills into his sword making from pattern wielding to craftsmanship related to jewlery. my favorite is #206 the silver inlayed rapier from Dresden, Germany. What's aggravating to me is that Barta's work seems to virtually NEVER show up on the secondary market! Holy mother of god....the level of finish on this man's work just blows my mind. The consistency of it too. I can't even express my amazement of his work like this! I'm sure most of his work at this level is probably under glass in various owner's private collections and probably will never see the light of day on the used market ever. This is high art level creations and not simply show off weapons. I still wonder how his stuff handles and cuts. I am sure that it is amazing and just like an original piece. Truly stunning stuff. Maybe we should have a Barta picture archive thread of all known pieces. Although his website does a pretty good job. I still wonder what would happen if he did a fantasy type piece, something that he could just let loose his creative powers on. Patrick is a superb craftsman. sverð er manni vargr, af bardaga er dýrð, í dauða er dýrð. Can't say it any better: Totally " unbelievable " in a good way ! Drool, drool. Ah, my screen is all drooled on! What a piece. Patrick does truly outstanding work. only in a place like this would i be saying 'uhubba hubba hubba over a sword. Just my theories on the matter. Oh I don't know about the Financially secure part Russ, as I have one!! 3 or more (5 for me) is a long time to save up. I love my Barta though it is a more simple type visually than some of his other pieces. The iron-inlay on mine did make the price not in-substantial. Regarding handling, at least with mine, I can say that it is fabulous- for the type. My type XI has just the handling I imagined in my mind. It's as if Patrick was reading my thoughts when he made it! So sad but true! I shudder to think of some unknowing noob on Ebay selling off a collection of Barta's work after inheriting it to some guy who wanted a "Battle Ready" sword collection to hack watermelons. I figure someday there will be bargains for his stuff on-line, but probably not for many years. 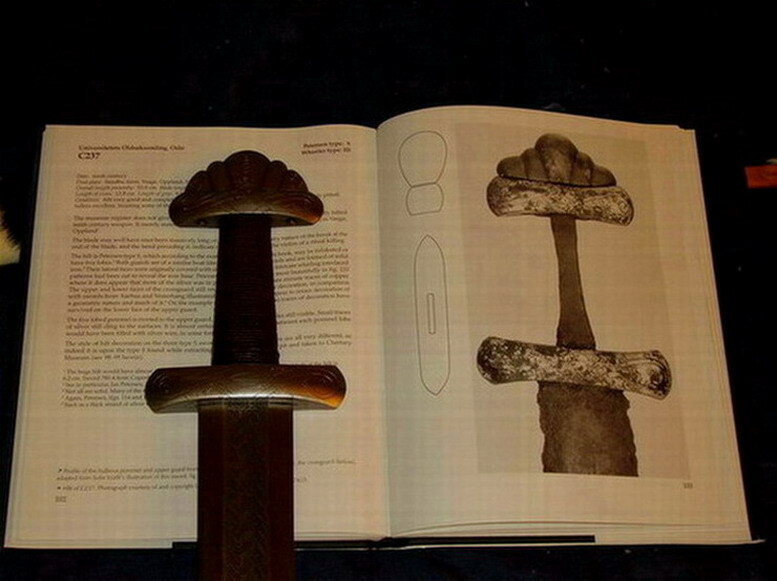 Hey, that's how I got my Patrick Barta sword -- eBay. Seriously. Someone needed the money, I guess. And not too many other people bid on it. Lucky me! I almost bid on that, but then after learning you were bidding, I stayed out. Alright, that sounds altruistic. The whole story involves me being cheap and not wanting to spend the money. Rats! I've got to peruse ebay more often. I wouldn't have been as cheap... er altruistic I mean as Nathan. I wonder how many Barta swords there really are floating around after all?